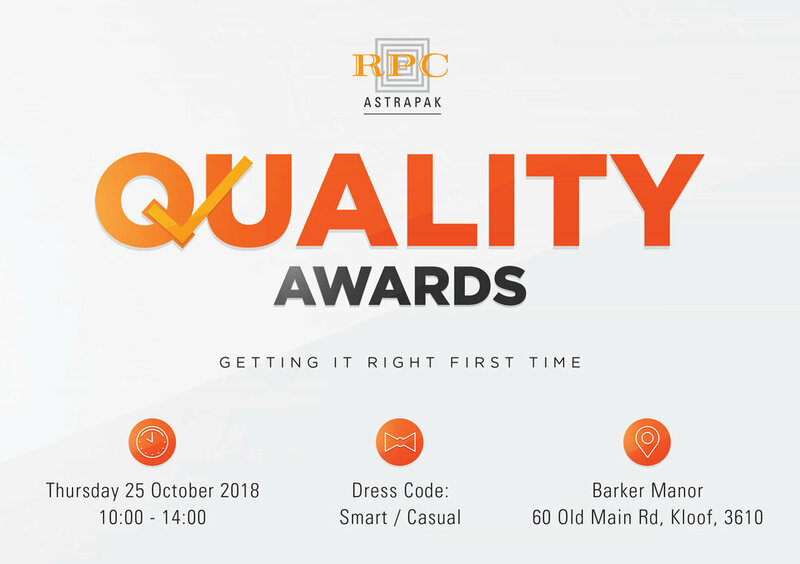 RPC Astrapak's Quality Awards recognise and reward local achievements in Quality, and Health and Safety. This year, we introduce a brand new award for Sustainability! The date of the event coincides and dovetails with the RPC Safety Week initiative (14-21 October), which is celebrated at RPC sites globally. Kindly reply by clicking the button below and indicate your attendance for this momentous occasion. Indicate your special dietary requirements on our contact form, which will appear when you click the YES button. Please submit your RSVP by Tuesday 16 October. Please specify your dietary requirements, if any. *Right of admission to invited guests only.